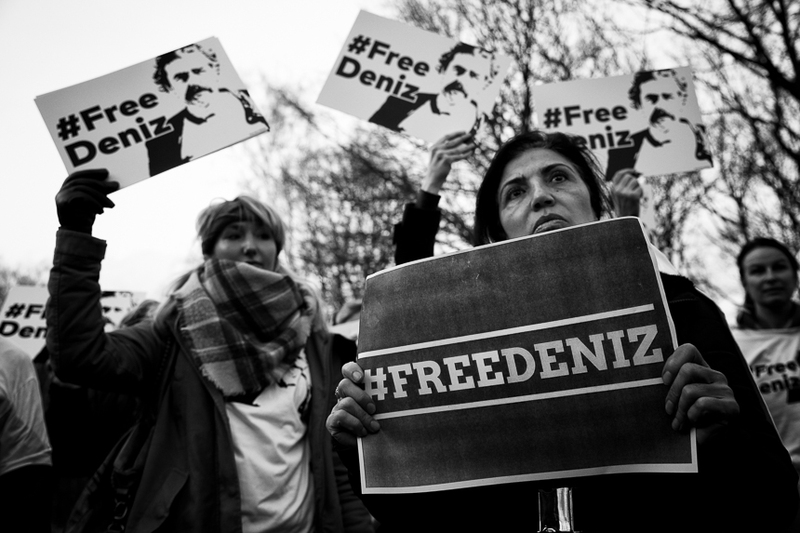 About 200 rallied in front of the embassy of Turkey in Berlin to free detained journalist Deniz Yücel. 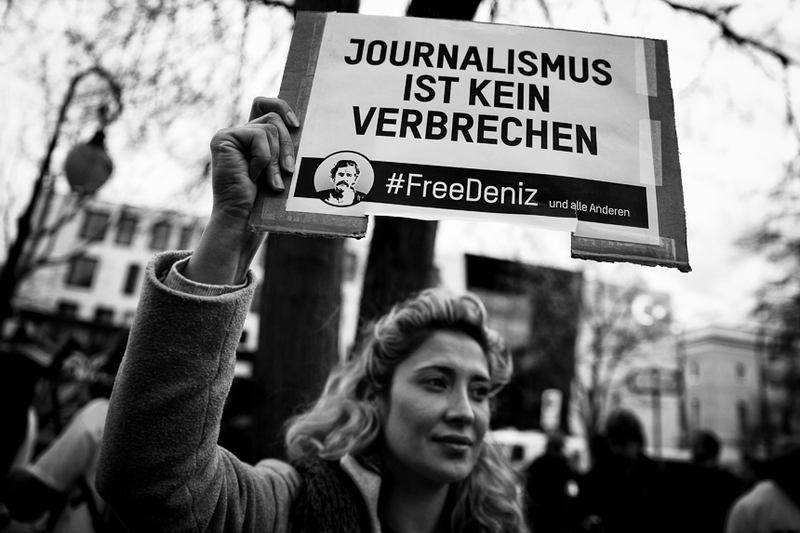 Yücel who is a German and also a Turkish citizen was arrested in Turkey two weeks ago for charges of supporting terrorism. He is the correspondent in Turkey for the German newspaper "Die Welt". 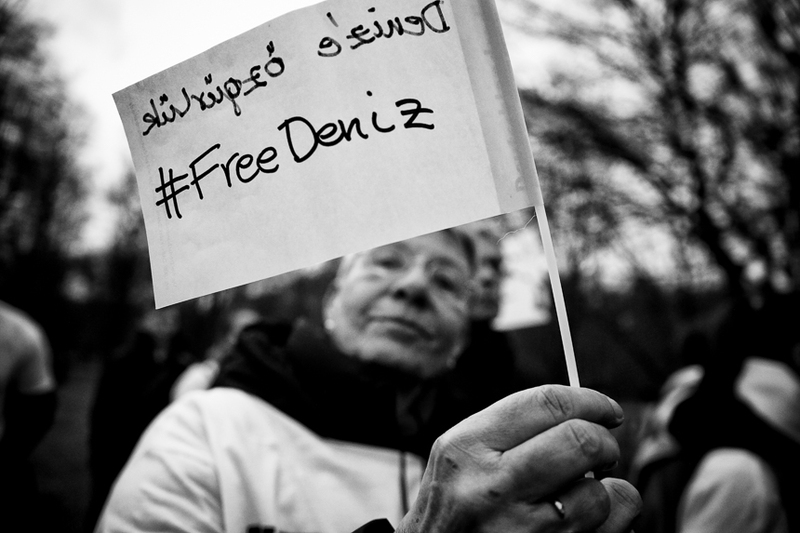 In articles he critized president recep Tayyip Erdogan and his government. He was short timed arrested for critical questions to a local governor. Among the attending crowd were politicians from the Green Party, die Left Party and Pirate Party. 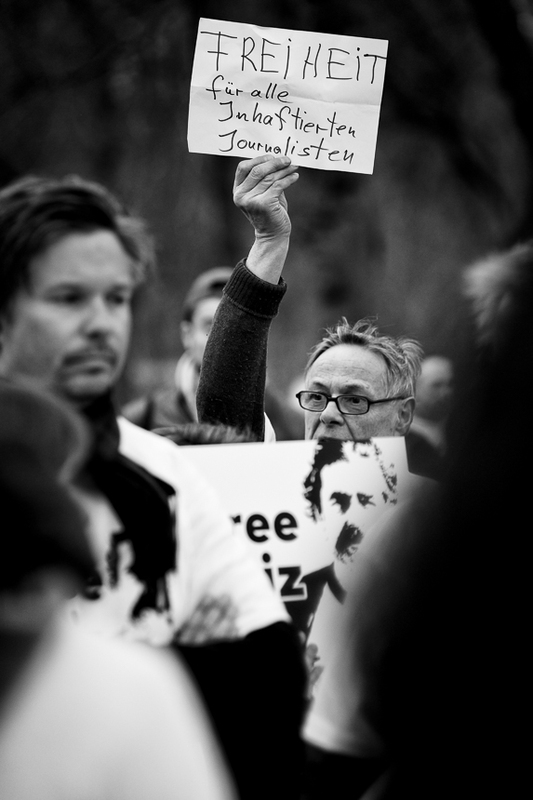 Also a lot of journalists joined the protest. The protest was organized by MP Öczan Mutlu (Greens).